Read Cinnabar's review of the tea thermos on Gongfu Girl. I don't own a glass thermos, nor have I used one, but I "heart" the idea of one. I have not seen any in local stores but will keep looking. I would prefer to buy it locally than order from an online vendor. 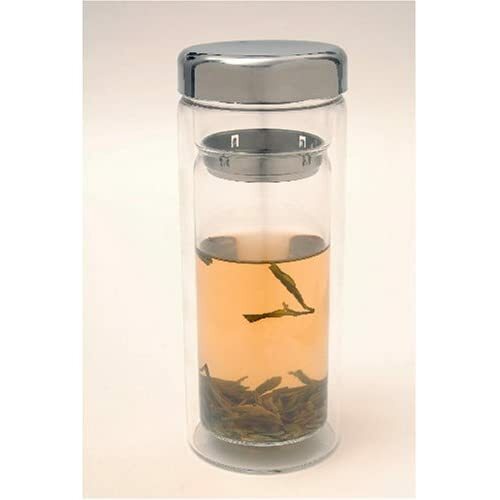 In my experience, the only teas that work really well in atea thermos like this are Chinese green teas, especially dragonwell or bi luo chun. Black teas get oversteeped too quickly. Some oolongs (the greener the better) would probably be ok too, and I know some folks who would use pu-erh, but I haven't tried them and just stick with dragonwell usually. Hi again! I'd love to, but it's not mine to change. It's an excerpt from an article by Elin Headrick. You can read the full article on World Tea News; it's linked in my post.